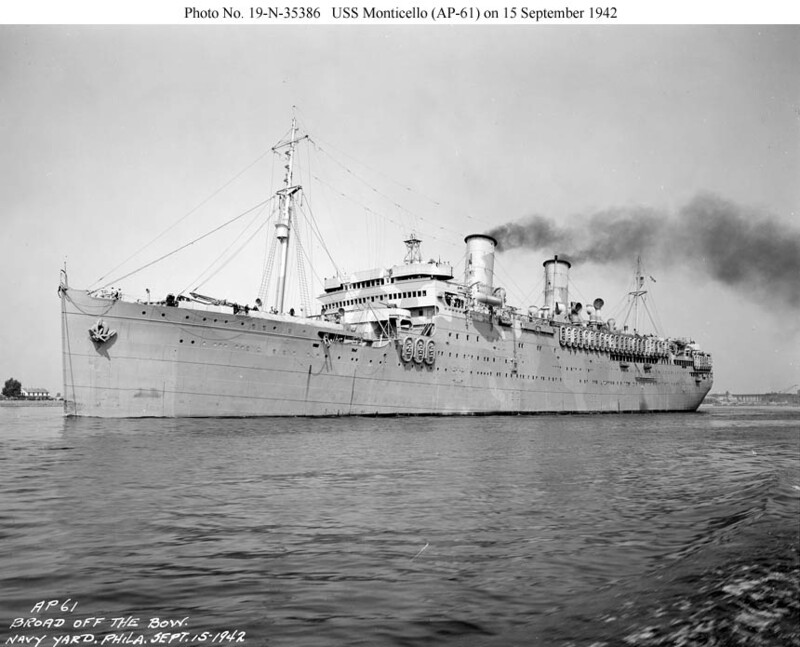 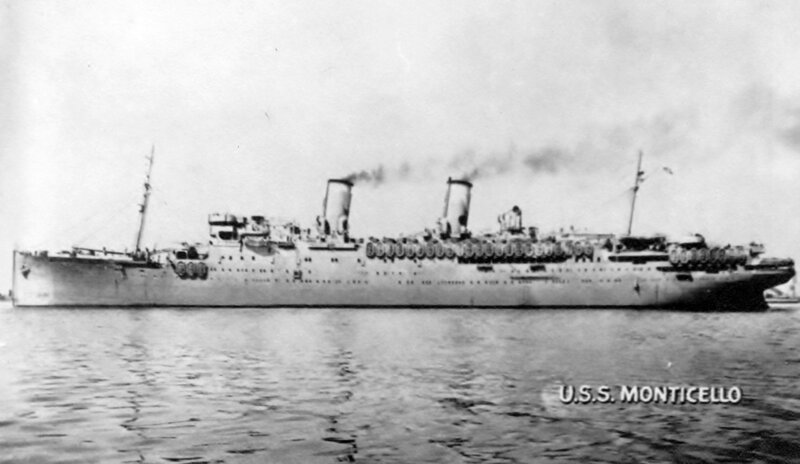 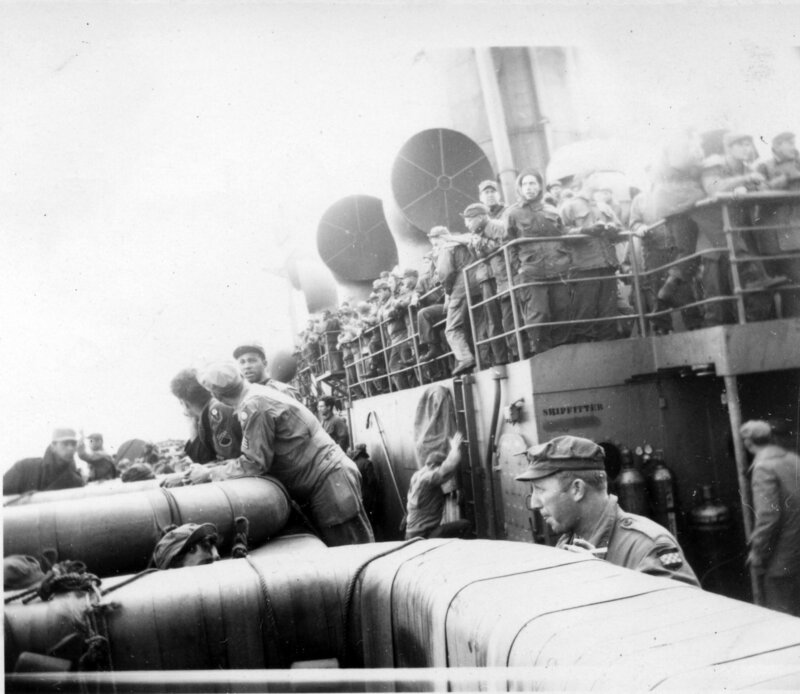 Commissioned USS Monticello (AP-61), 16 April 1942, CAPT Morton L. Deyo, USN. 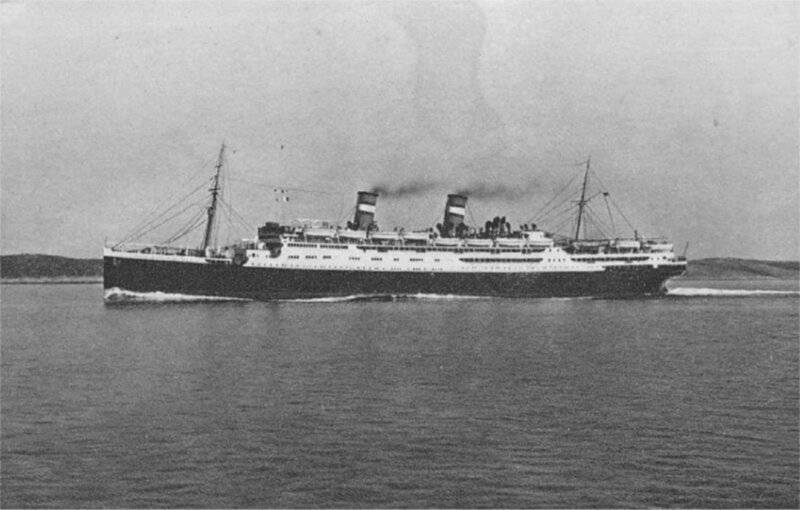 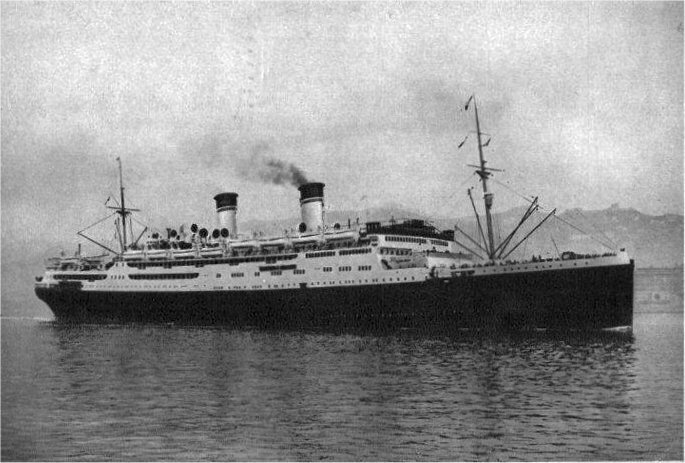 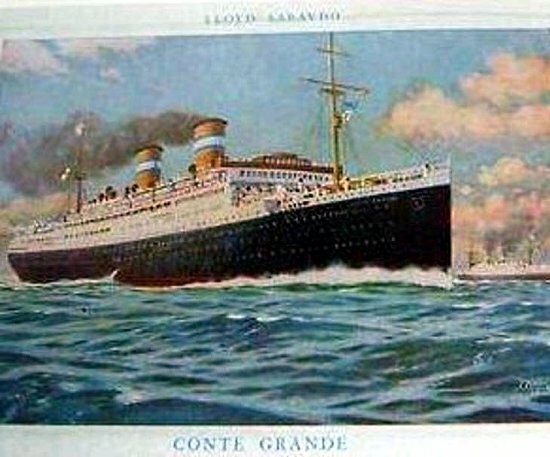 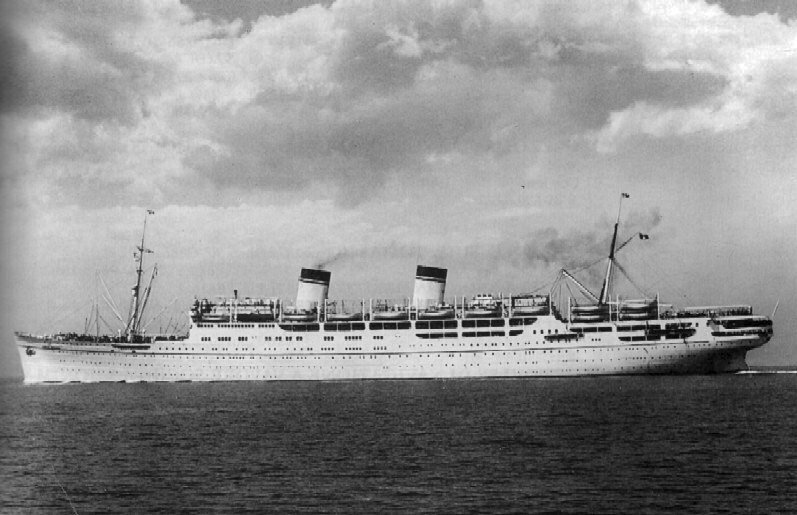 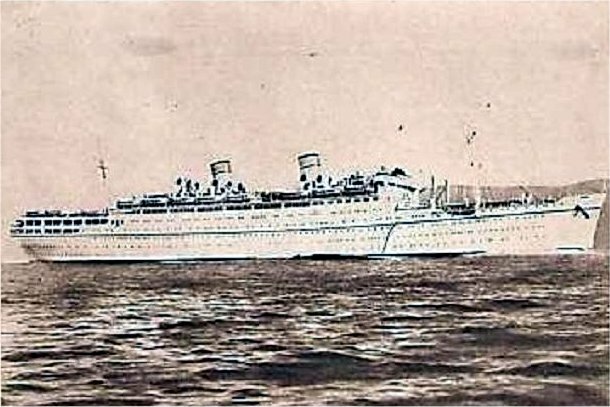 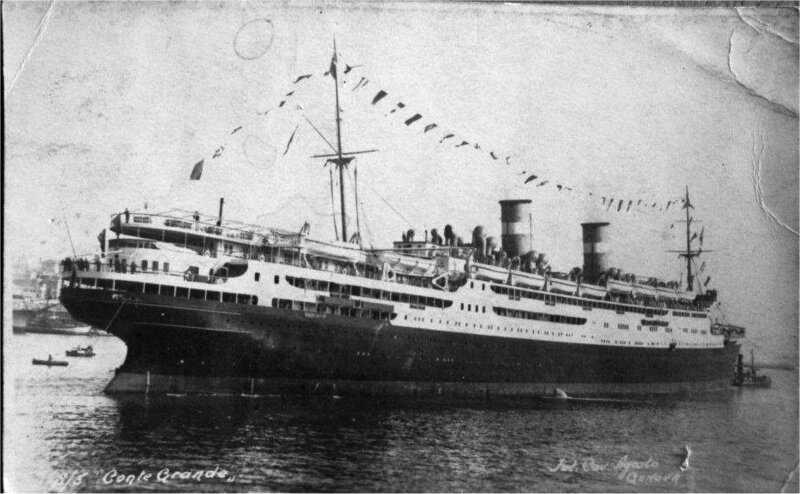 three turbo-drive, 150Kw 120V D.C.
two turbo-drive, 300Kw 120V/240V D.C.
54k Pre-war image of as the Italian flagged Lloyd Sabaudo Lines' SS Conte Grande, underway, date and location unknown. 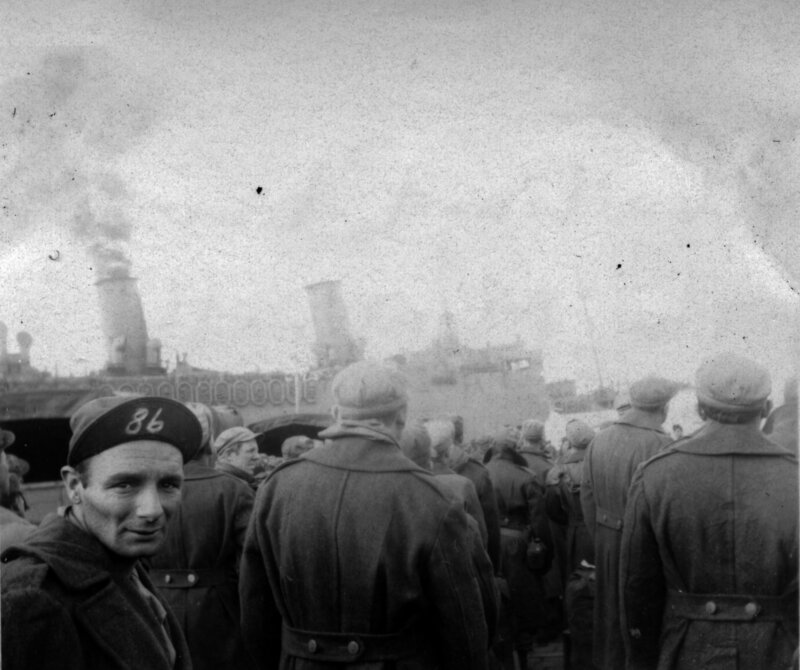 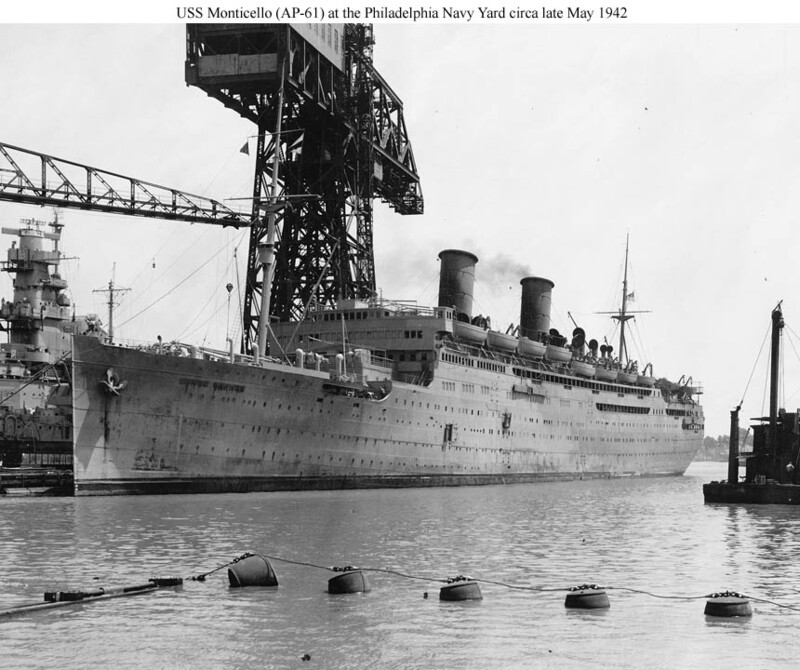 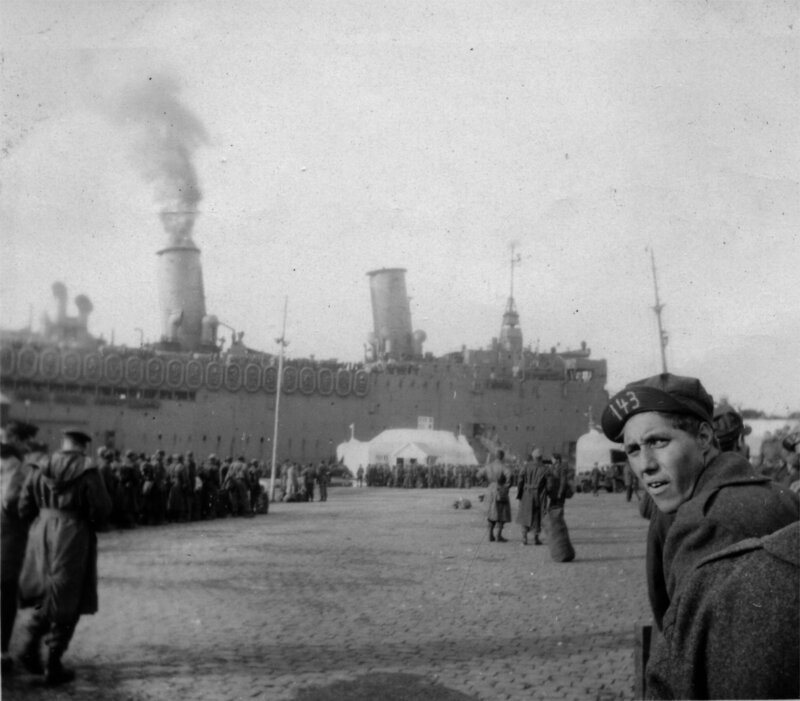 140k USS Monticello (AP-61) moored pierside at Philadelphia Navy Yard circa late May 1942 soon after her arrival from Brazil, where this ex-Italian liner had been interned, seized by Brazil, and sold by Brazil to the US Navy. 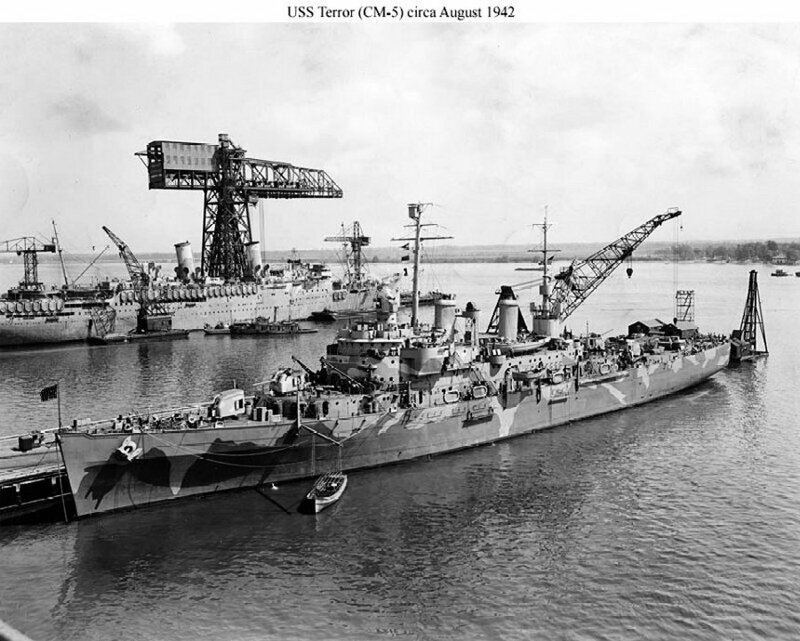 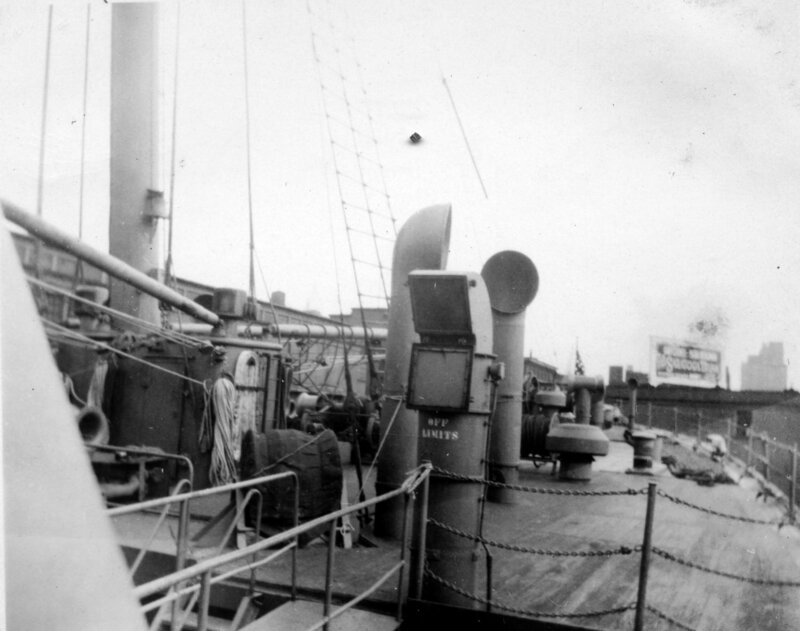 109k USS Monticello (AP-61) underway, 15 September 1942, near the Philadelphia Navy Yard after completing conversion. 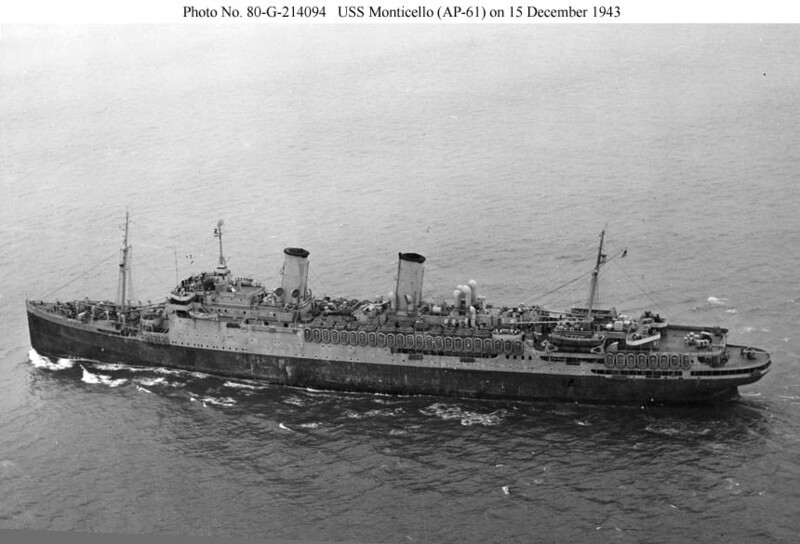 98k USS Monticello (AP-61) underway near San Francisco, 15 December 1943. 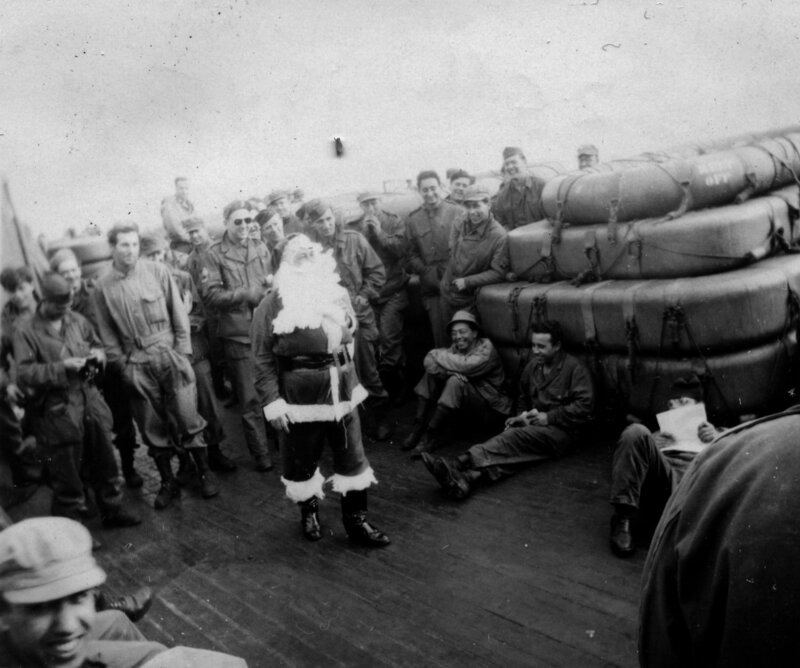 Photographed by an aircraft from NAS Moffett Field, Sunnyvale, CA.